The Mug Chesterfield is a classic sofa that revisits the old Chesterfield design maintaining an elegant and traditional style. 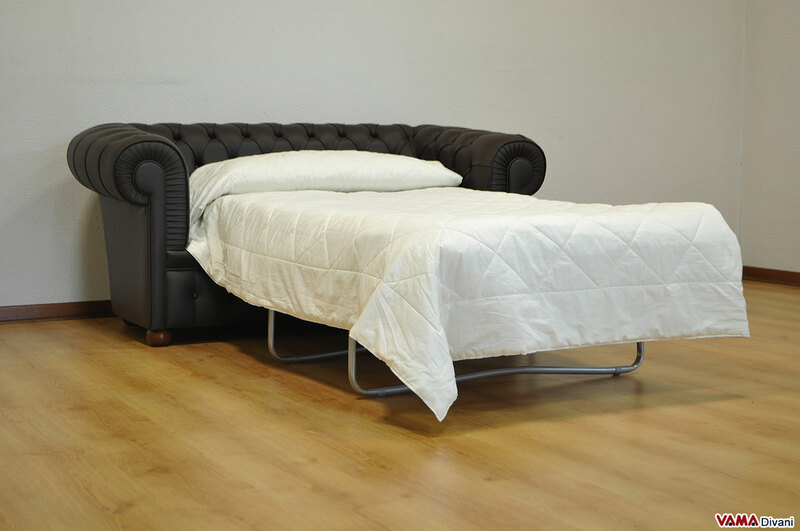 Its leather upholstery is finely crafted and buttoned, the typical feature of Chesterfield sofas, and this Mug model is quite different from the other Chesterfield because it is rich of several small details, such as two front striking prominences that make its shape a very original one. 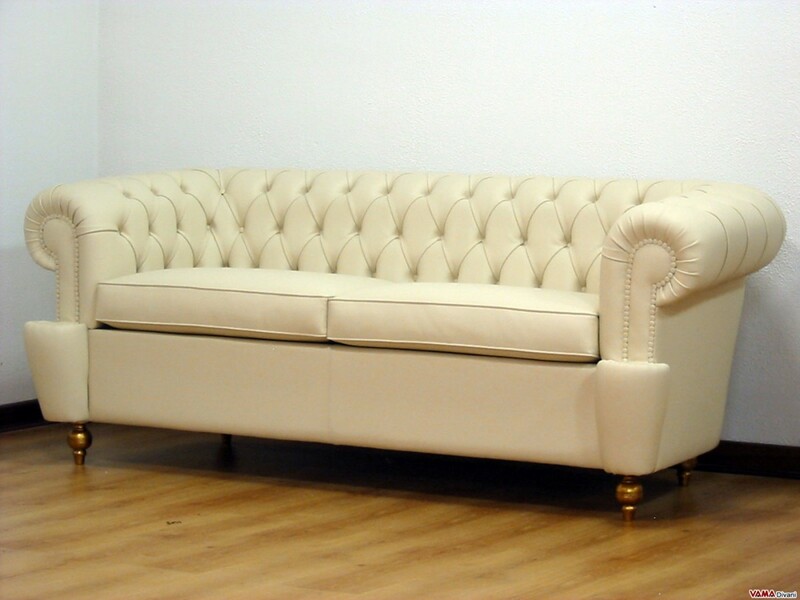 A very charming and quite unusual classic sofa, perfect to be placed in sophisticated and refined spaces. 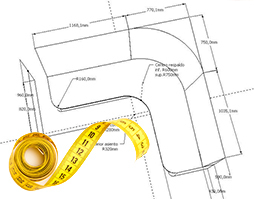 The Mug Chesterfield is a very suggestive alternative for the popular and classic Chesterfield sofa, old English piece of furniture that, even today, is one of the most chosen and appreciated ever. Compared to a traditional Chesterfield sofa this very fine and stylish version features many common points, especially its buttoned details that embellish its seat back and the inside of its arms thanks to small buttons perfectly applied. 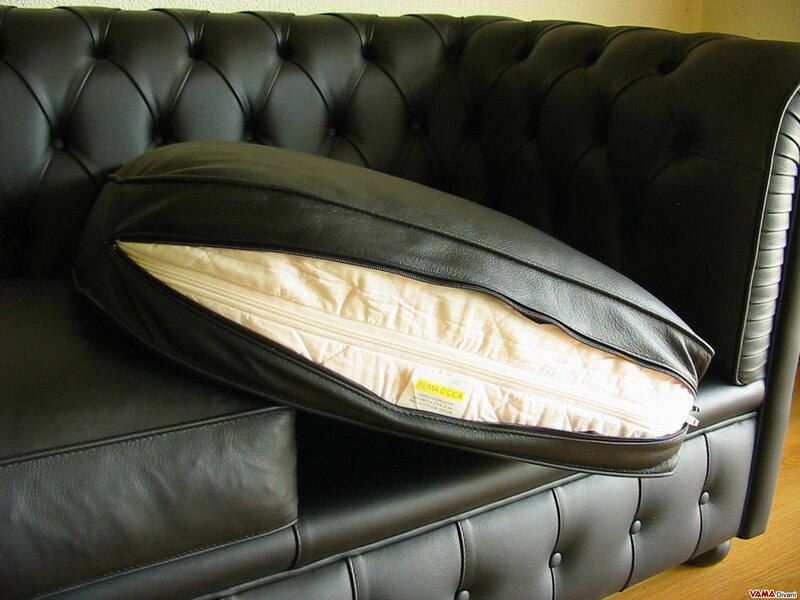 At the same time, however, it is characterised by several features that distinguish this sofa from the more common classic "Chester" one. 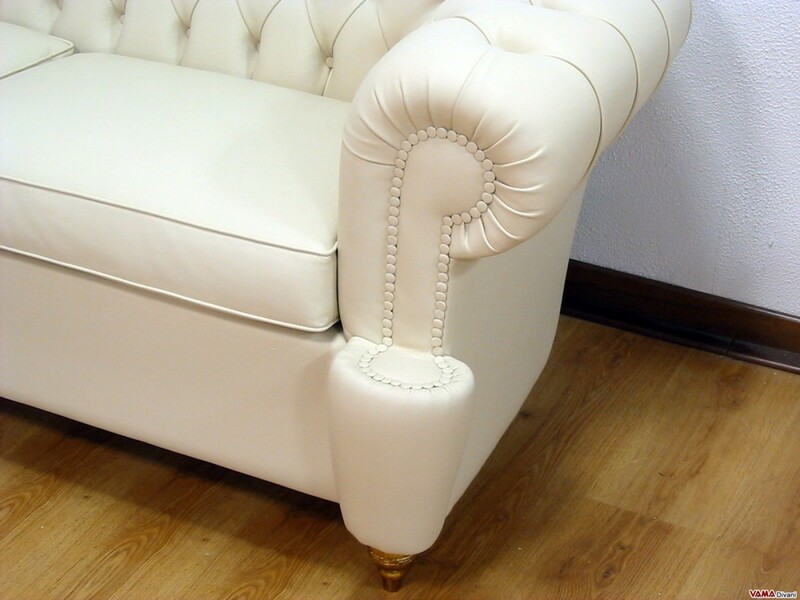 The base of the sofa, for example, is perfectly smooth, the front part of its arms is embellished with small leather covered studs, its tapered feet are painted with a particularly valuable technique, the so-called "gold foil", and above all, on its arms, there are two original prominences that make the shape of this sofa unusual and appealing. It is a very stylish sofa, perfect for a sophisticated and fine room, because it is able to offer even great solidity and longevity. 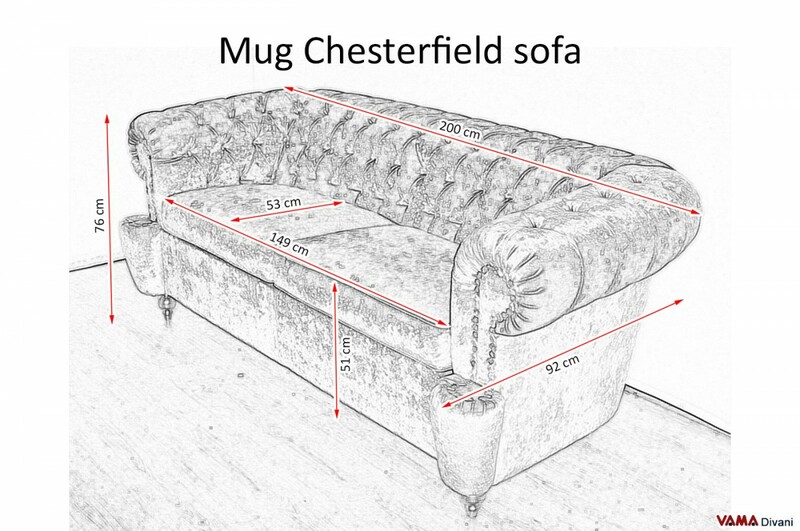 The standard version of 2 seater Mug Chesterfield is 200 cm long, but this Chesterfield can even be customised.